Throughout the 20th Century the car has been tangled up in the social, political and economic fabric of Australia. It conquered the interior, shaped the design of our cities, was the basis of our manufacturing industry for many years, and created some of our best-loved heroes. The car is embedded in our culture and our psyche: let’s face it, Australians are just a bunch of rev heads. The first episode aired on Sunday and it was fantastic. 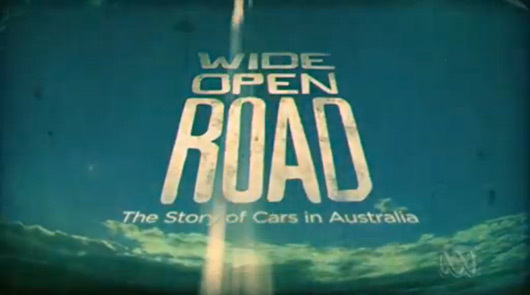 If you missed it or you want more info you should visit www.abc.net.au/tv/wideopenroad. And if you click here, you’ll be taken to the ABC shop where you can buy the book, DVD, and a CD soundtrack of the series!